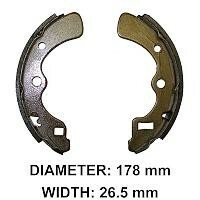 NOTE: These brake shoes are sold one each. You will need 4 if replacing all front brakes. NOTE: These brake shoes are individually. You will need one of each, 41048-1078 & 41048-1079, to replace shoes for one wheel. 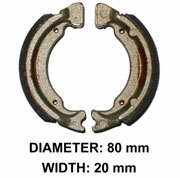 NOTE: These brake shoes are individually. You will need one of each, 41048-1079 & 41048-1078, to replace shoes for one wheel. NOTE: These brake shoes are individually. You will need two to replace shoes for one wheel or four for both front wheels. 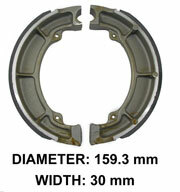 Aftermarket Brake Drum for Kawasaki 2500/2510 Mule. 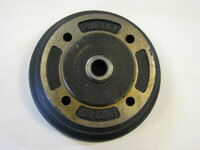 Aftermarket Front Brake Drum for Kawasaki 3010/4010 Mule. 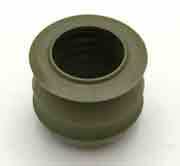 Aftermarket Front Brake Drum, Drum Seal, Two Wheel Bearings, & Two Wheal Bearing Seals for Kawasaki 3010/4010 Mule. Aftermarket Front Brake Drum & 4 Studs for Kawasaki 3010/4010 Mule. 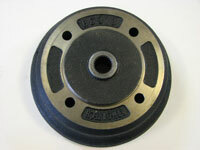 Aftermarket Rear Brake Drum for Kawasaki 3010/4010 Mule. Aftermarket Rear Brake Drum & 4 Studs for Kawasaki 3010/4010 Mule. 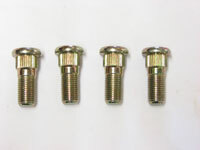 Kawasaki Mule Brake Drum (Wheel) Stud Bolt 4 Pack. This set will give you all the nuts you need for one wheel. *Note two sets are required if replacing all the front brake shoes. * Includes OEM style spring set. 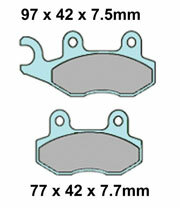 EBC premium quality rear brake shoes. 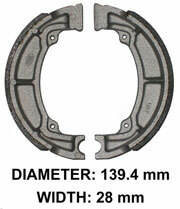 Armor-Tech Front brake shoes for Kawasaki Mule. EBC Front Brake Shoes for the Kawasaki Mule. * Includes OEM style springs. 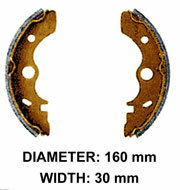 Contains one set of brake shoes for one wheel. Armor-Tech Rear Shoes for the Kawasaki Mule. This contains 1 set. If you are replacing the entire brakes, you will need 2 sets. *Includes OEM style spring set. 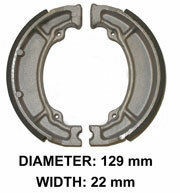 EBC Rear Brake Shoes for the Kawasaki Mule. This contains 1 set. If you are replacing the entire rear brakes, you will need 2 sets. EBC Brake Shoes for Kawasaki Bayou. 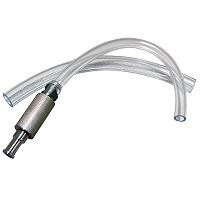 Replaces OEM 41048-1061 & 41048-1089. 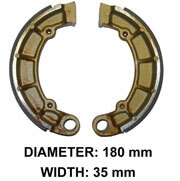 Brake Shoes for the Kawasaki Mule 500 & 600 Series. Sold as a set , one set per wheel. 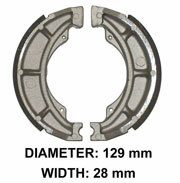 EBC Rear Brake Shoes for the Kawasaki Mule 550. Sold per set. Two sets required to replace all the rear shoes. * Note 2 sets required to replace all you front pads. 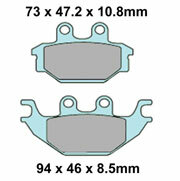 Armor-Tech OEM quality LEFT SIDE front brake pads. *Note: these pads are for the independent rear suspension Brute Force and will not fit the solid axle Brute Force. 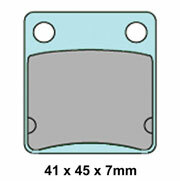 EBC high quality LEFT SIDE front brake pads. 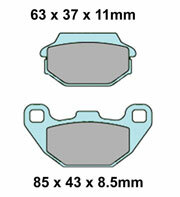 Armor-Tech OEM quality RIGHT SIDE front brake pads.